Potted strawberry plants are the perfect solution for small areas, such as decks or patios. Hanging plants can also be arranged so that they sit directly outside a kitchen window, taking up virtually no space. When considering a potted garden, keep these berries at the top of the list. Using pots is also a great way to keep strawberries off the ground, an important feature for those individuals living in a region with ground that is prone to remaining damp. Any type of strawberry plant can adapt to a pot, but here are some of the basics on how to get started. Any type of strawberry plant will adapt well to being in a pot. The plants themselves have a very small root so do not require especially deep pots to thrive in. A wide pot with a shallow interior is best; the plants will only need about six to eight inches in soil depth to be happy. 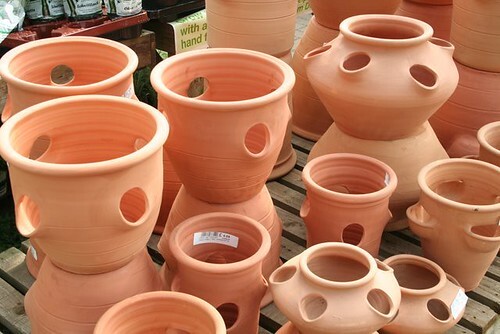 Because the plant and fruit is low to the ground, you will need pots with good drainage capabilities, whether it is from multiple holes in the bottom or a pot with holes throughout, like a strawberry pot. Poor aeration will result in the plants not surviving, or bacterial and fungal problems. The best type of soil will have a pH between 5.3 and 6.5 which can easily be picked up at a variety of stores. The pot will need to be placed into a sunny location where the plants can get at least six to eight hours of sunlight a day. Be sure to rotate the pots a couple times a week for best results. Either bare-root crowns, or seedlings can be used to start. Typically seedlings will take hold faster than their more mature bare-root cousins. 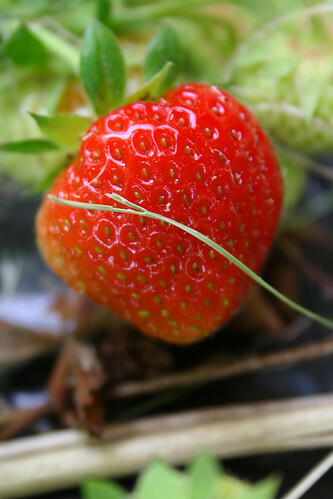 Strawberries do not respond well to soggy soil. Let the soil in the pot dry slightly before watering. A good way to determine if the plants need water is to stick a finger into the soil about an inch, if it feels dry; it is time to water the plants. Checking the plants at least once a week is a good idea. Keep in mind however that during hotter days, the potted plants will require more water, so check them more frequently. Potted strawberries will love some added fertilizer about once a month. The best type of food for the plants will have a high phosphorous level. Individuals can also opt to use a soil that comes with a time release fertilizer already in it. Be sure not to use a liquid fertilizer and enriched soil at the same time, this can burn the roots and kill the plants. The best production that people will get from your plants will be when they allow them to cycle through winter hibernation. Because they are in a pot, it is important that they are placed somewhere where they will remain cold, but not frozen, like a deck storage closet. Leaving potted plants outside during winter can result in frozen roots which is why it is recommended that they be placed into an unheated storage area. 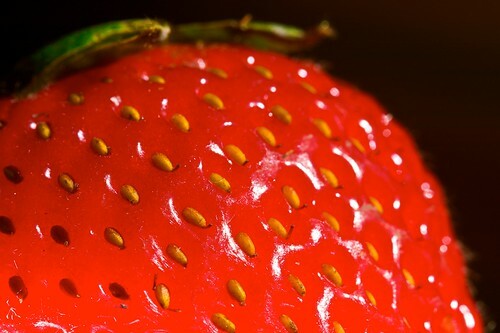 These two pesky problems will decrease your strawberry harvest. They are usually the result of the soil being too moist for extended periods of time. If the plants have been getting plenty of sunshine and they are developing pale leaves it is often due to a lack of the right nutrients. Strawberries need nitrogen to be the happy, healthy green that we know. A quick way to help them bounce back is to place coffee grounds into the pot. 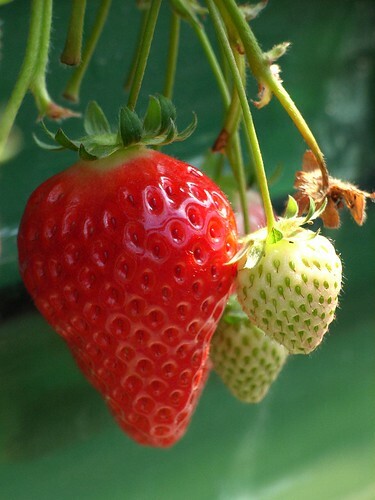 It is important to know that a strawberry plant will only provide berries for about three to four years. June Bearing: These plants will only deliver berries once a year, in the spring. They will cast out shoots to produce more plants which will require individuals to be mindful of spacing and cropping as they grow. This will need to be done annually. 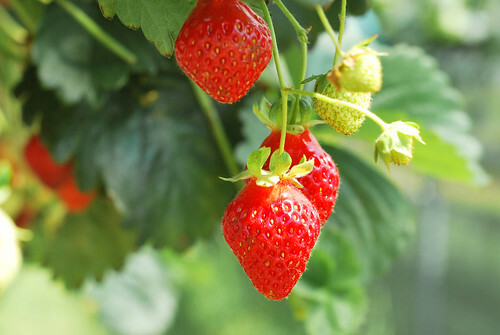 The first year that people have June Bearing strawberry plants, they will need to pluck the blossoms and remove the sprouts to enable the plant to become well established and healthy. Ever-bearing: If spring is not enough to satisfy the desire for these berries, the ever-bearing plant may be the best choice. With two annual growing seasons, once in spring and again in fall, individuals are always satiated. Like the June Bearing plant, the first year of establishing ever-bearing plants people will need to remove the blossoms. Day Neutral: These little fellows give small berries throughout the entire growing season. They are a favorite among people who do not want, or do not have; the time to spend giving added attention to their potted garden. Strawberries are a great fruit to enjoy. The are easy to grow and great to grow in pots. With these tips on how to grow strawberries in pots at home, you’ll have delicious fruit in no time. Copyright © 2014 Self Sufficiently, powered by Wordpress.